Even though the game has not gotten as much attention as it should, the adventure of Pontius, Amadeus and Zoya have returned to captivate anyone who dares to approach it. 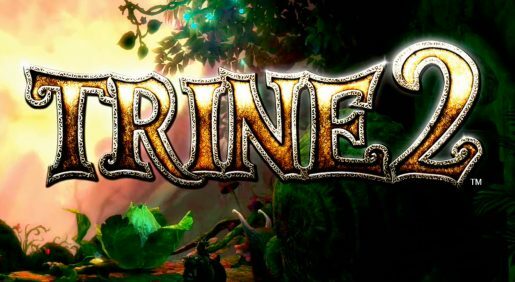 Developer Frozenbyte made sure to make Trine 2 one of the prettiest games I’ve ever seen. The amount of details placed in the environments and the characters is just astonishing, and taking in the fact every new environment will be better than the one you just were in, there is no real reason to skip this game if you’re looking for eye candy. Without further ado, let’s take a look at what’s HOT and NOT about Trine 2. The story in Trine 2 is set some time after the events of the first installment, where the souls of our heroes got united by the Trine. There is some mysterious magic water in the kingdom, which is causing abnormal growth in living beings. Our heroes are summoned once again to save the day. The story will be approached the same way the prequel did, with load times being used to give us details about where we are currently at. Along the levels, our characters will fill story holes and we will eventually hear some funny comments from them. The story in Trine 2, despite being enormously simple, is better forged than in Trine, and the way the events end up happening in Trine 2 are more logical. The game never forgets its roots, and is just as humorous as the first game. Gameplay hasn’t changed much from the first game. Our heroes will be united by the Trine and you will have the opportunity to control them all by switching them out. It’s here where the game becomes challenging. You will only have the chance to use one hero’s ability to make your way through, being the Warrior’s brute force, the thief’s amazing grapple and bow, or the Wizard’s powerful magic. If you played the previous installment, then you will notice that even though there have been a few tweaks here and there; the most welcome being the removal of the magic bar, and some improvements to the abilities, the gameplay has remained intact. During multiplayer though, either online or offline, you will be able to play with the 3 characters on screen, making the game a lot easier than it actually is, since all the characters will help each other fulfill tasks. As I previously mentioned, Trine 2’s design is simply awesome. There is not a single place in the game that won’t make you feel you are inside a fantasy world. 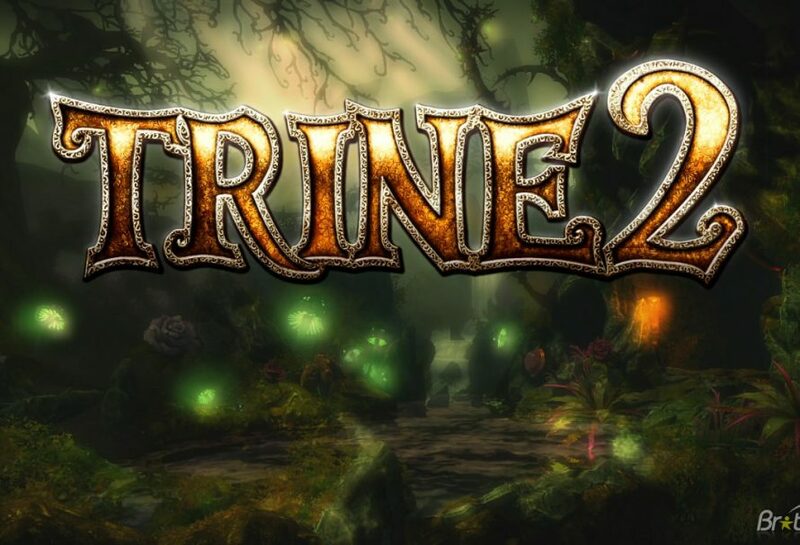 To make the game’s design justice is a hard task, since what Frozenbyte achieved in Trine 2, is leaps and bounds better than what we are used to see on today’s games. Once again, we are greeted with large and perfectly thought levels full of action, platforming and puzzles. This will not be the only things you will find in the levels though. You will have to be careful since most of them are filled with traps, enemies and obstacles that won’t be easy to pass by. To make things better, every new enemy will bring with him a new variety of characteristics and dangers. This will have to make the player adapt to constant changes, and will keep the game fresh. Added to all of these threats, we will find in Trine 2 new and more threatening bosses. These bosses will usually be easy; taking in the fact there will be a place on screen which will let you revive your fallen characters. 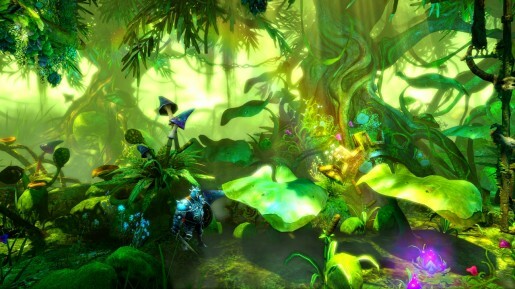 Trine 2 offers different difficulty levels. Most of them are perfectly suited for every type of gamer, and no matter if you are a newcomer to videogames, the game will manage to keep itself challenging, yet easy. Hard mode will be one hell of a tough ride since enemies can kill your characters with ease and they will be more intelligent as they know how to deal with the players. Once the game has been finished, New Game+ and Unlimited Character Mode will be unlocked. Unlimited Character Mode will let the player choose any character he wishes in Multiplayer. Even if that character was already taken by another player. It is quite fun to play the game, since players will have to deal with lacking a member like the Wizard, or having a 3 tank party to burst through the game. You will also be able to go back to the levels you already cleared, this will let you grab any collectable you might have missed during your playthrough. 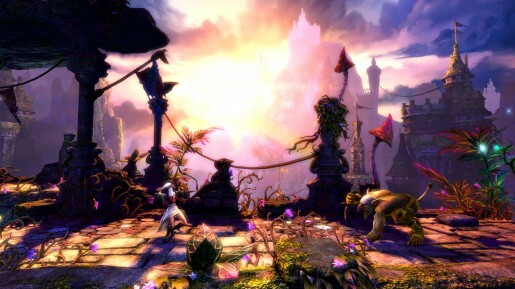 The soundtrack in Trine 2 is by lack of a better word, unbelievable. There is just so much to listen to. The soundtrack will take the player on a journey which few would like to go back. The music is perfectly adapted to every single one of the levels in Trine 2, it’s hard to decide what song I liked the most, but let me tell you that it’s a soundtrack I didn’t get tired of listening to throughout the entire game. It’s really hard to find something to dislike about Trine 2, but once you reach some of the bosses, all the sweet talk about the game vanishes. Some of the boss fights will be quite disappointing, since like I mentioned above, you can revive every character during the fight, and even if you die, the enemy’s damage will remain. This will make the sense of threat go away, and most boss fights will become unchallenging. 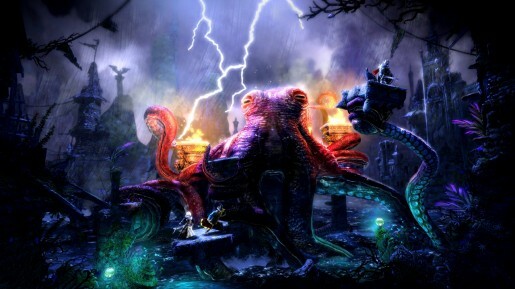 Trine 2 shows us what a good game should be like. The game offers level design to envy, an amazing soundtrack that fits the game perfectly, extremely well-polished gameplay and an enjoyable cooperative mode that will keep you engaged. This is one of the games that you don’t want to miss, especially if you are a fan of the genre, and even if you are not. I fully recommend Trine 2 to anyone who is looking for a unique gaming experience unlike anything else. Next article Updated: Rumour: The Last of Us Box Art Released?